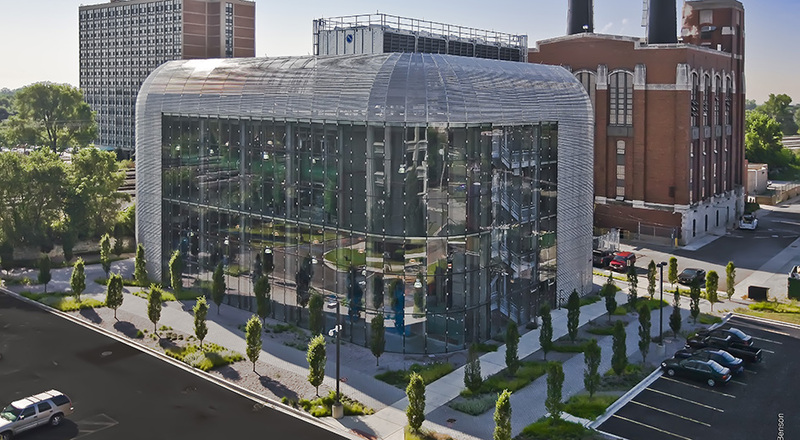 Working with Murphy/Jahn Architects, TGDA designed a sustainable landscape that fulfills the requirements of the University of Chicago’s green initiatives and maintenance program. 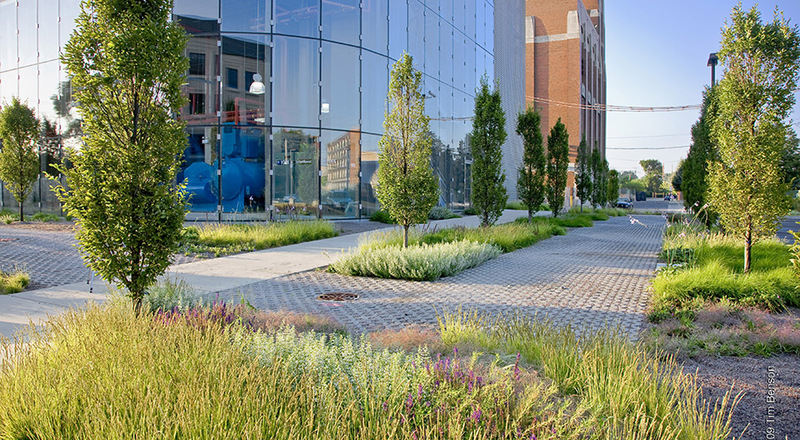 Through comprehensive site analysis that included evaluating the Campus’s green spaces, TGDA crafted a masterplan that employs a planting method, originally developed in Germany, that resulted in a weaving landscape surface within a bed of uniform gravel. 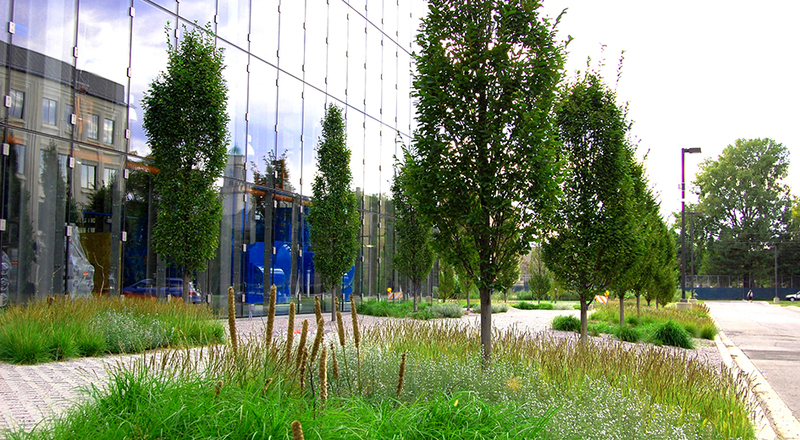 A grid of hornbeams are placed within an abstracted pattern of flowering perennials and grasses. 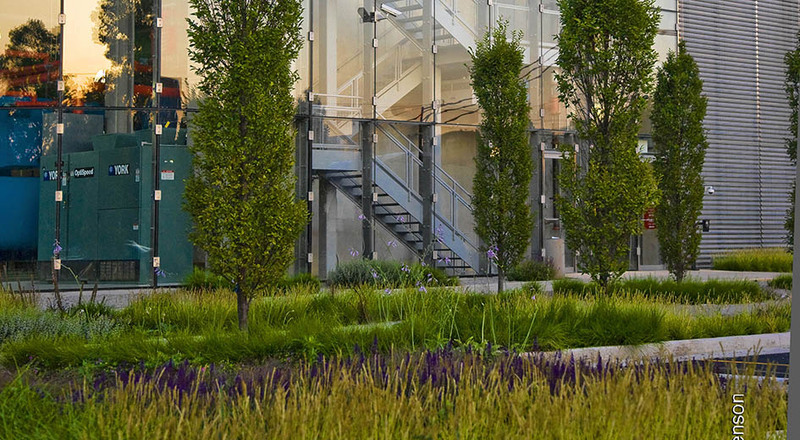 The use of gravel and specified plant selection created a highly aesthetic ornamental planting display that requires only modest levels of plant maintenance.